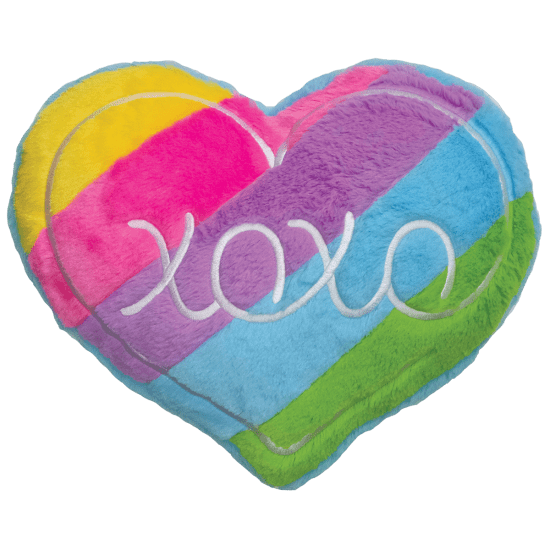 Soft and fuzzy, our XOXO rainbow heart scented furry pillow is the stuff dreams are made of. This strawberry-scented cutie is covered in rainbow-colored fur with XOXO embroidered on the front. It would make a great gift for your bestie!